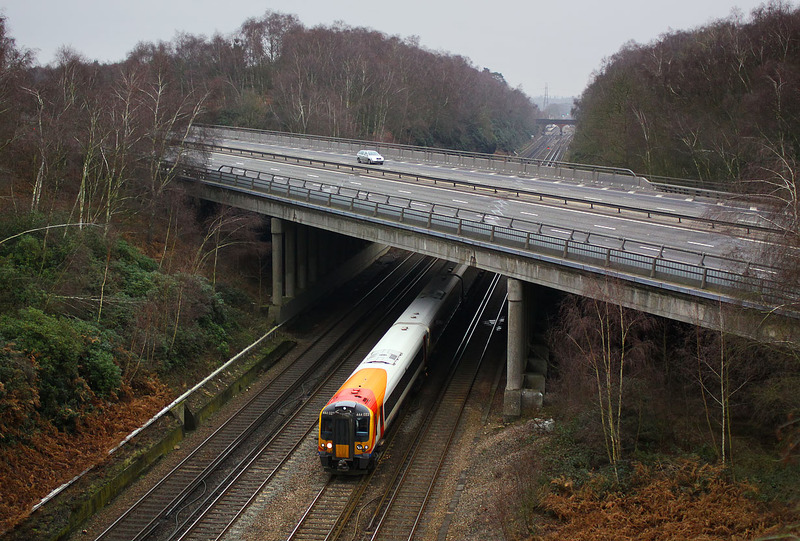 444022 passes under the M3 motorway at Shapley Heath on 1 January 2011 with the 1W27 10:35 Waterloo to Weymouth South West Trains service. Obviously the previous night's celebrations are effecting the amount of traffic on the motorway, with just a single car passing over the bridge. Winchfield station can just be seen in the far distance.